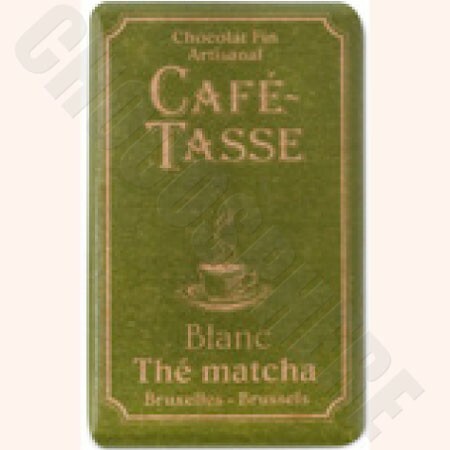 Cafe-Tasse Belgian White Chocolate with Matcha Tea. The bars have the most alluring green tea color and flavor. The tea and chocolate of this bar compliment each other perfectly and make you desire another piece before the first one is even finished.